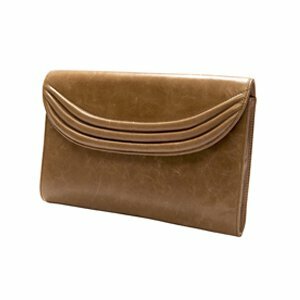 Neutral yet nostalgic, the LCNY Fold-Over Clutch in taupe makes accessorizing fun again. 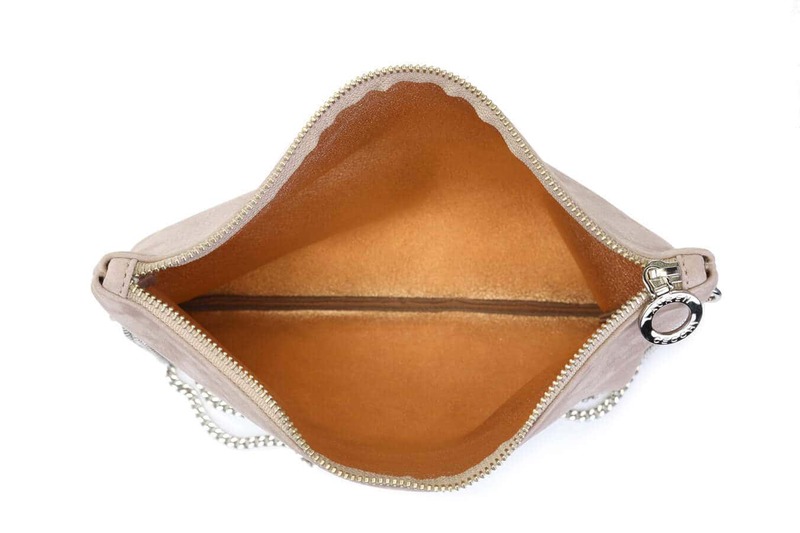 Featuring a metallic rose gold interior, this stylish handbag allows for versatility of the most luxurious caliber. 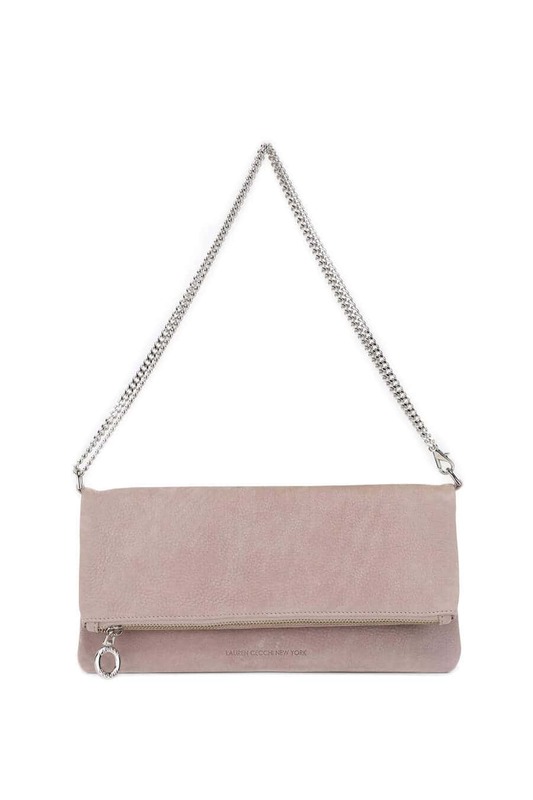 Detailed with highly polished hardware and crafted by New York City’s garment district, the supple Nubuck bodice of this bag creates a look that’s as iconic as its maker. 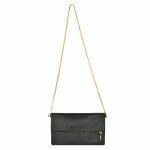 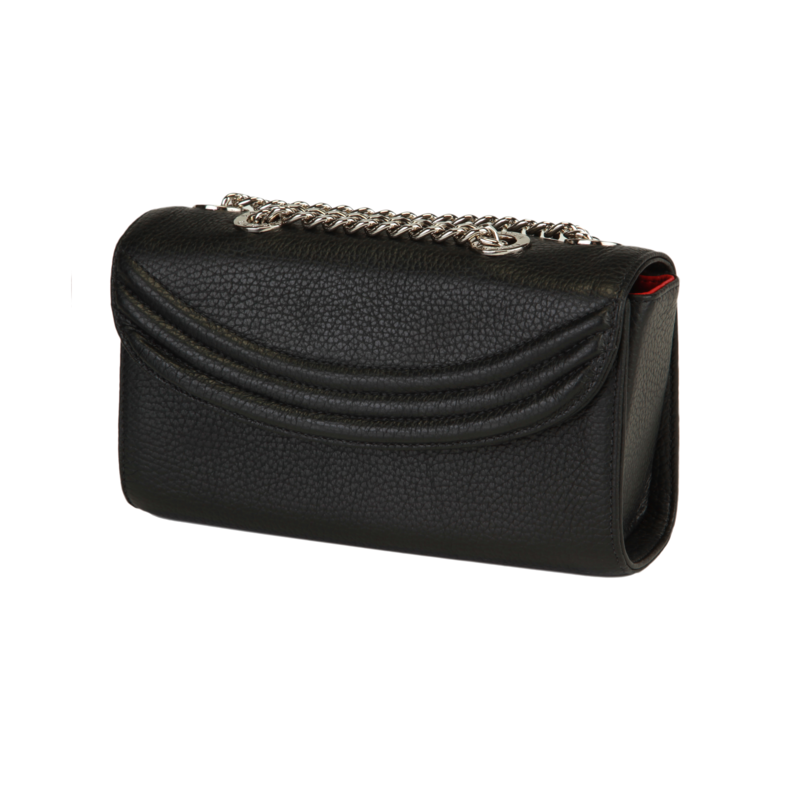 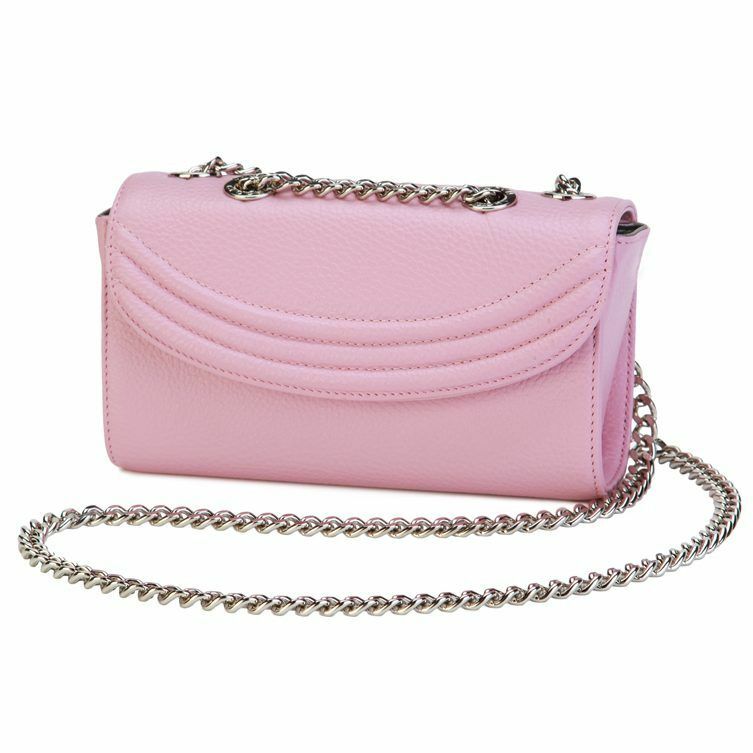 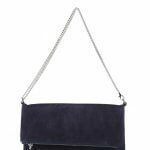 You can wear the chain strap as cross body or long ways or you can shorten the chain or even remove it to wear as a clutch.